Deal of Day. 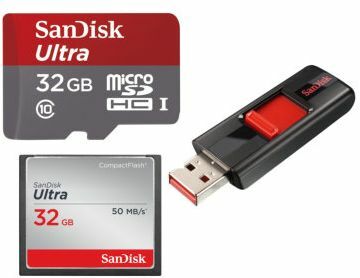 Take advantage of the Up to 40% Off SanDisk Flash Memory USB, SD Memory Cards. A big sale from the original price, Free Shipping with Amazon Prime or $49+. 22 choices including SSDs and SDHC cards. Lowest prices around.